Over the past few months, politicians and regulators have sought to grasp the concept of Bitcoin and its underlying technology, blockchain. This past week, U.S. representatives Jared Polis (D-Colo.) and David Schweikert (R-Ariz.) revealed the launch of a bipartisan Congressional Blockchain Caucus. Across the U.S., bureaucrats and states are trying to understand virtual currencies and distributed ledger technology. 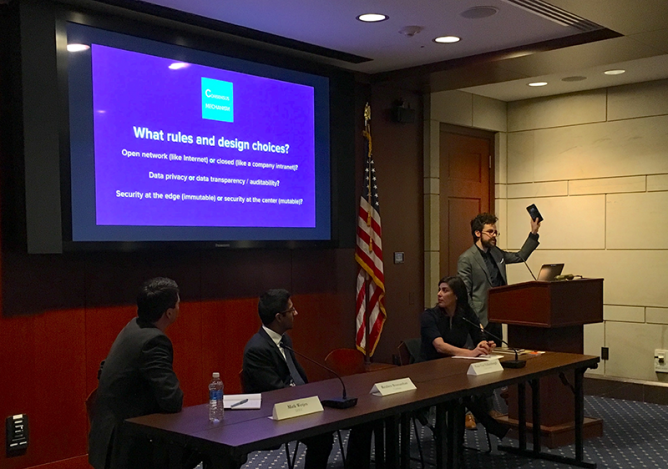 On February 9, government representatives created a Congressional Blockchain Caucus that aims to help policymakers create sound regulatory policies surrounding these technologies. 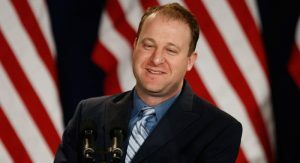 “Lawmakers need to understand that as the world rapidly changes, it’s our responsibility to ensure that we craft policies and adapt laws that match our ingenuity,” Democrat Jared Polis explained. Polis believes these emerging technologies can “transform the 21st-century economy” by reshaping finance, supply chains, cybersecurity and more. “I look forward to the Caucus’s upcoming policy briefings and meetings that will educate members of Congress on these innovative technologies,” detailed the Colorado representative. With the newly created bipartisan effort, two well-known digital currency and blockchain advocacy groups, Coin Center and the Chamber of Digital Commerce, say they will also help the blockchain caucus. Coin Center’s Jerry Brito said his organization was pleased to see a caucus dedicated to understanding blockchain and cryptocurrencies. Brito hopes that when regulations are developed in the future, they don’t stifle these nascent technologies. On February 15, Coin Center said they had taught Congress the difference between Bitcoin and blockchain at the first congressional briefing. Coin Center’s director of research Peter Van Valkenburgh explained to lawmakers the contrasts between public blockchains like Bitcoin and private digital ledgers. “As we’ve stressed before, understanding this distinction is essential to understanding the critical role that open networks will play in the future of internet infrastructure and business innovation,” Van Valkenburgh stated. First Congressional Blockchain Caucus briefing. Coin Center’s Peter Van Valkenburgh teaches lawmakers the difference between public and private blockchains. Image via the Coin Center blog. The announcement of the newly created Congressional Blockchain Caucus had mixed reactions across forums within the Bitcoin community. A number of people applauded the congressional organization focused on studying cryptocurrencies and blockchain. Other opinions within the community were skeptical, believing no good could come out of government interference with these technologies. A vast amount of forum comments concerning the new blockchain caucus resembled this one from the announcement posted to Reddit. I don’t see this as good news at all. The ONLY reason that the government would EVER get involved is because they want their cut and to prevent us, the citizens, from using it in any way to become independent and free from their oppression. What do you think about the creation of the Congressional Blockchain Caucus? 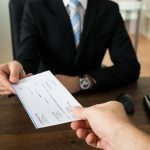 Do you think this is positive for Bitcoin or not? Let us know in the comments below. Images courtesy of Shutterstock and Coin Center blog. 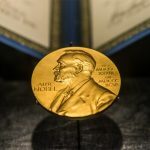 The post Congressional Caucus Launched to Study Digital Currencies and Blockchain appeared first on Bitcoin News.